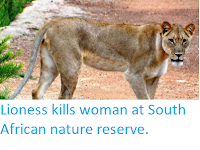 Sciency Thoughts: Woman attacked by Leopard in Rajasthan, India. A woman has been attacked by a Leopard in the Udaipur District of Rajasthan. Kesi Devi, 25, was mauled while going to the toilet in woods behind her house in the village of Salumber Tehsil on the evening of Thursday 19 April 2018. 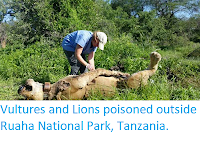 The Leopard inflicted wounds to her head and neck, but ran off when she began screaming to alert fellow villagers. Devi was treated for her wounds in a local clinic for her injuries. 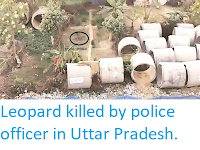 This is the fourth recorded Leopard attack in Rajasthan this year, with a villager attacked in Jaipur District on 8 April and two in Barmer District in January, though none of these attacks has been fatal. 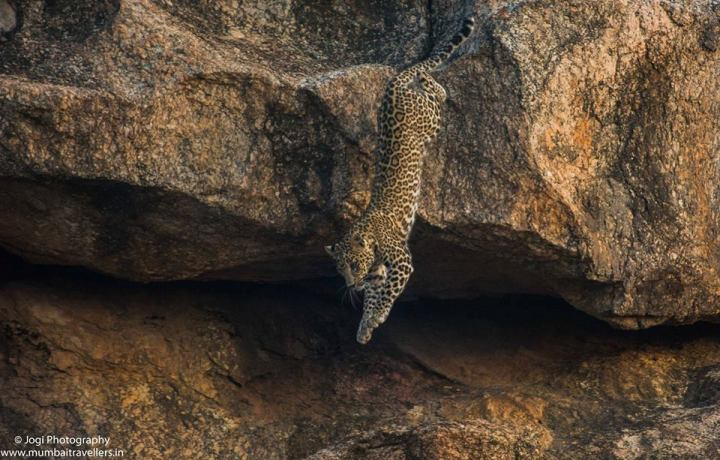 A Leopard in Rajasthan. Jogi Photography/Mumbai Travellers. Leopards are considered to be Vulnerable under the terms of the International Union for the Conservation of Nature's Red List of Threatened Species, with the Indian subspecies, Panthera pardus fusca, considered to be particularly vulnerable due to India's rapidly rising Human population, which has resulted in agriculture and other Human activities expanding into many former wilderness areas. For this reason the Indian Forest Service usually try to relocate Leopards that come into conflict with Humans to more remote areas, preferably within national parks, though the extent to which local people co-operate is variable. Rajasthan has a population of 508 Leopards, which are considered to be at their most dangerous during the summer season (April-June) when water is scarce, often bringing them closer to Human settlements in search of water and prey. 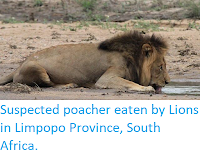 The animal responsible for the 8 April attack was shot by villagers and later found to have an empty stomach.